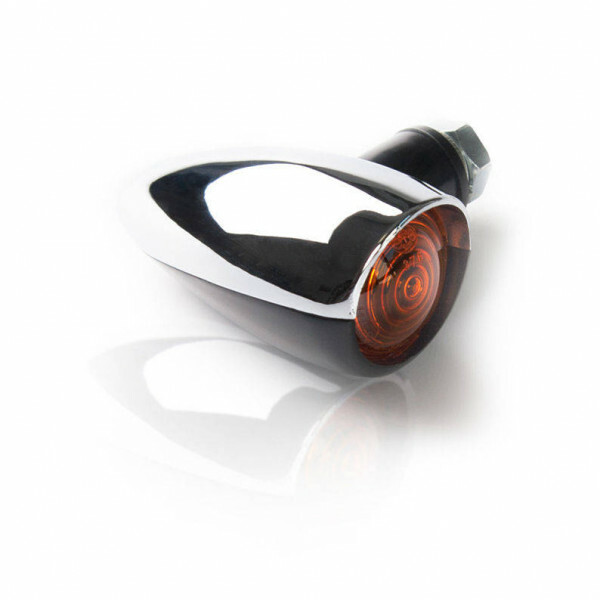 BARRACUDA's LAMP INDICATORS are universal and compatible with all the motorbike in the market. They have 21watt lamps so they are perfectly compatible with original 21 watt system They work regurarly also on original 10 watt system motorbike with the only technical limit that the motorbike lose the HAZARD (or 4 INDICATORS) function. This problem can be solved with an installation of a RELE' or flash regulator to be evalued by the professional technical support from a qualified shop. BARRACUDA does'n propose in its catalog the RELE' or flash regulator but they are easy to find in several resellers of motorbikes accessories near you. For the BEST INSTALLATION we advice to buy: - BRACKET INDICATORS for the fixing of indicators on the motorbike - INDICATORS CABLES for the connection of indicators to the original system without making changes or cuts to the original cables or connectors For any further information or technical requirements, we please you to ask to our TECHNICAL OFFICE sendind a mail to: tecnico@barracudamoto.it.